These benches we always have at home, as functional as comfortable, you prune tapizarlos and transform them into mini puff. Here we leave the sample! 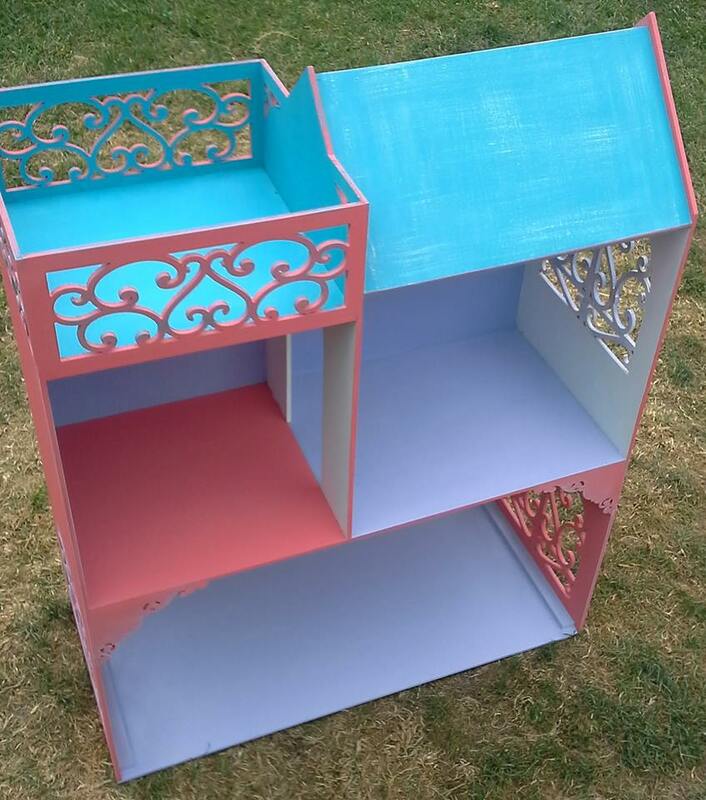 Animate to give color to your furniture, here we leave you a nice idea in pastel shades! aged and worn! This comfortable Beautiful Provencal style, it allowed us to play with these pastel who outlined its structure and emphasize its reliefs! 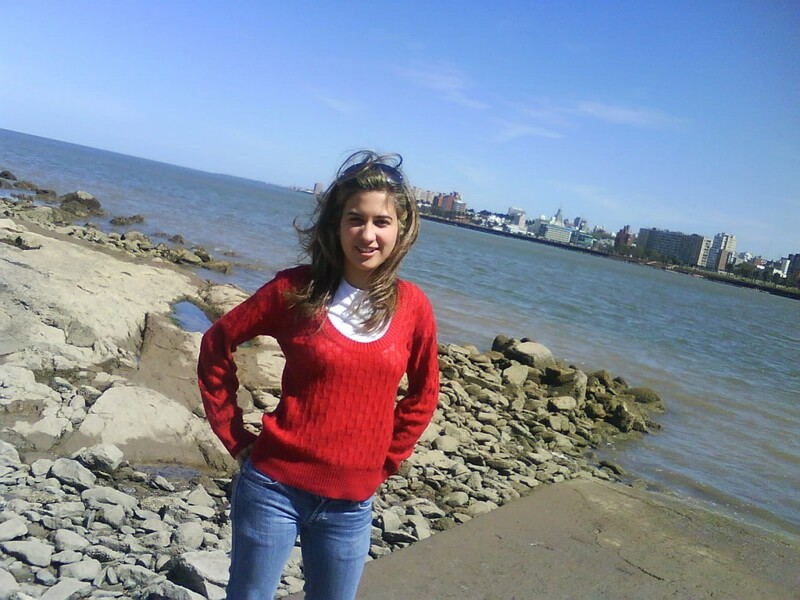 divine…and located in place! Backup beautiful bed, original rustic. patina disbarkt. 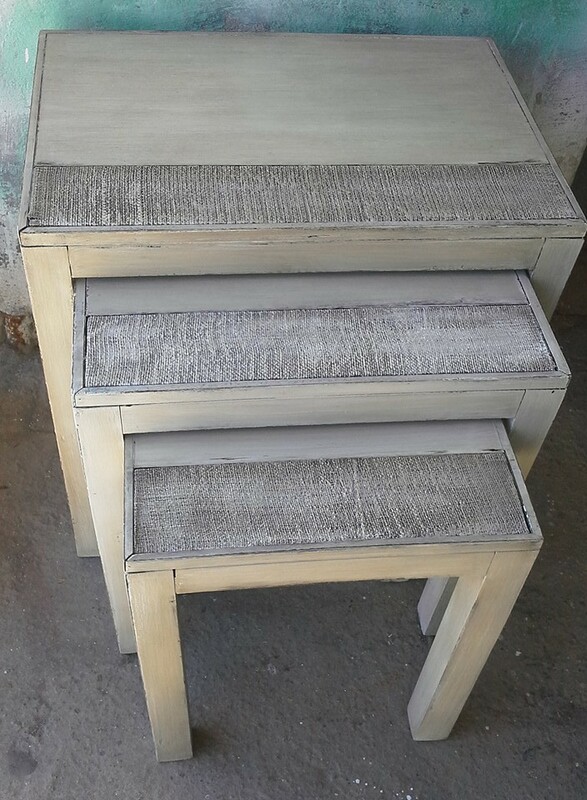 5cm wide tables, very close together making this very modern effect and smooth. old Ropero, roomy for its size, He was involved in ttono pure white! 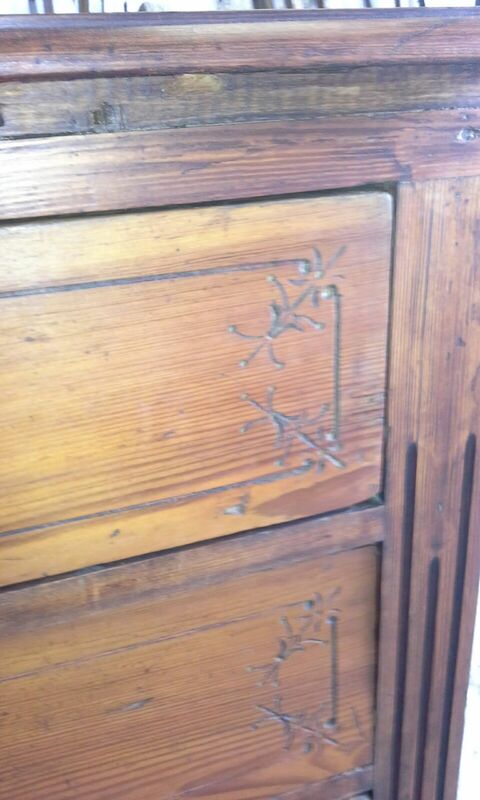 a little worn and detail of the upper and lower drawer bode wood, original color tone! Account also with bronze handle the same time who gives this touch so unique. 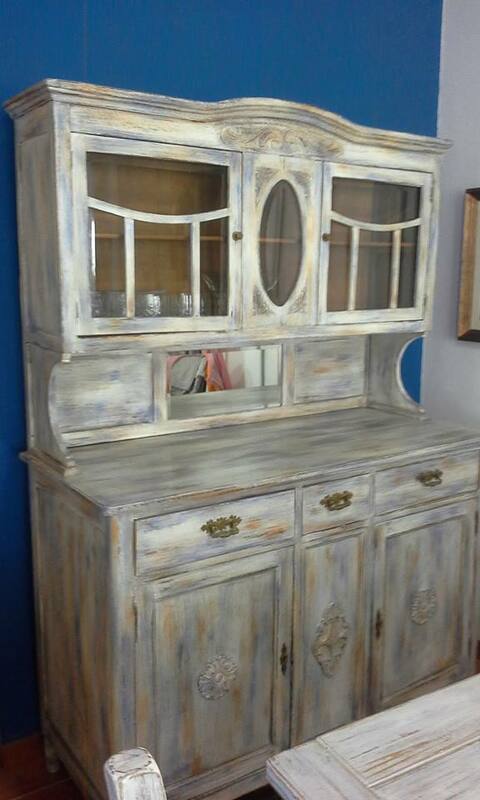 This game French style bedroom has two bedside tables, beveled mirror of the time, comfortable and support. 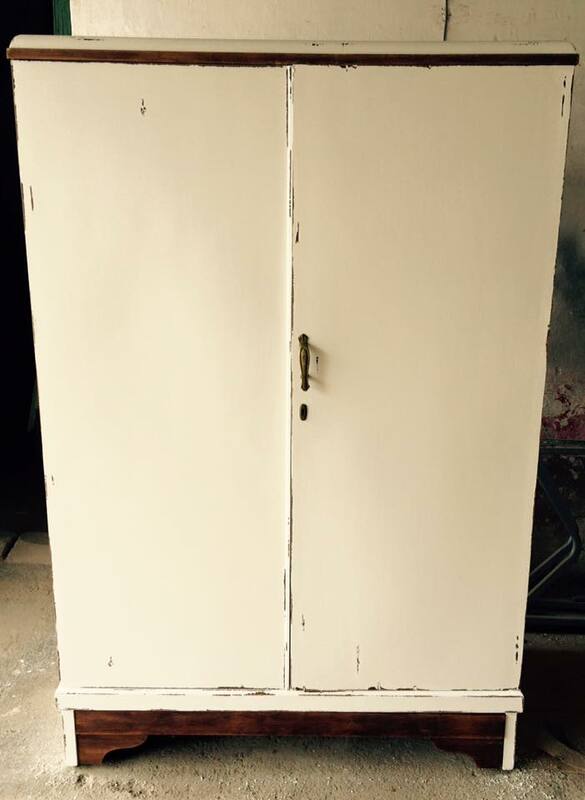 All with this beautiful aged white patina! Spent on edges, all envelopes in its carved. 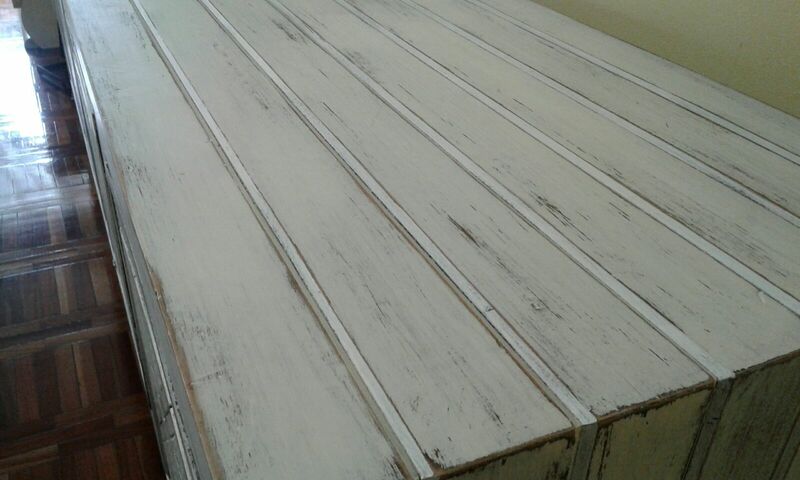 If you are in doubt change the tone of your bedroom furniture , divine look that is in shades of beige, this aged white patina goes with all environments and colors you have in e same. 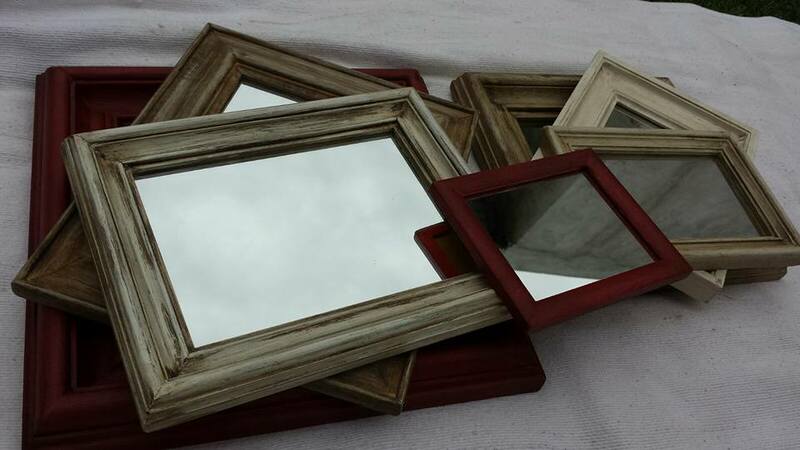 Frames with different sizes and moldings. In addition to its patinas and colors. 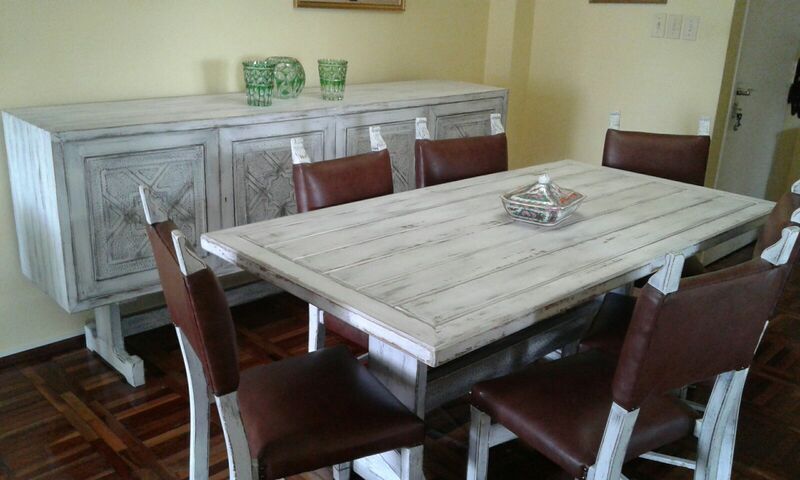 Patina kitchen furniture, this time are the puertias of a low-Table. In shades of green and wood (disbarkt). 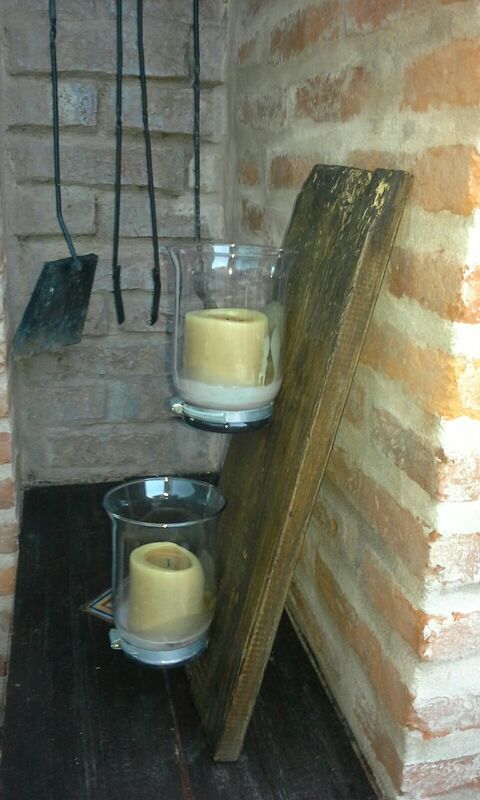 If you need to fill the space of a wall and want something different, This idea may be an option. Marquitos several different sizes and frames with mirrors. 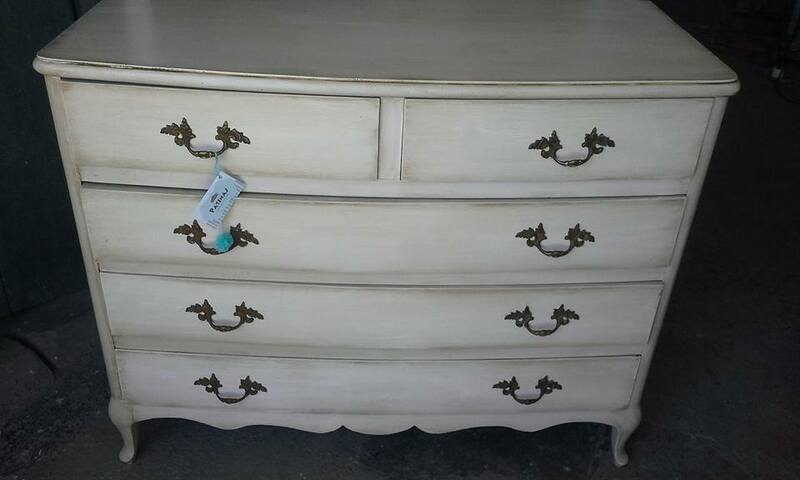 American style bedside table patinated white aged with details about oldest sconces with same patina. 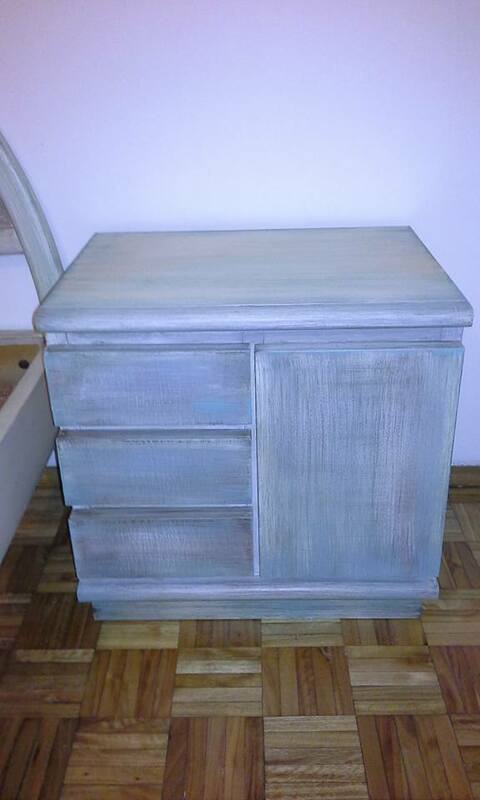 This comfortable was tasked with classic white patina (disbarkt) leaving the original color of the wood appear. 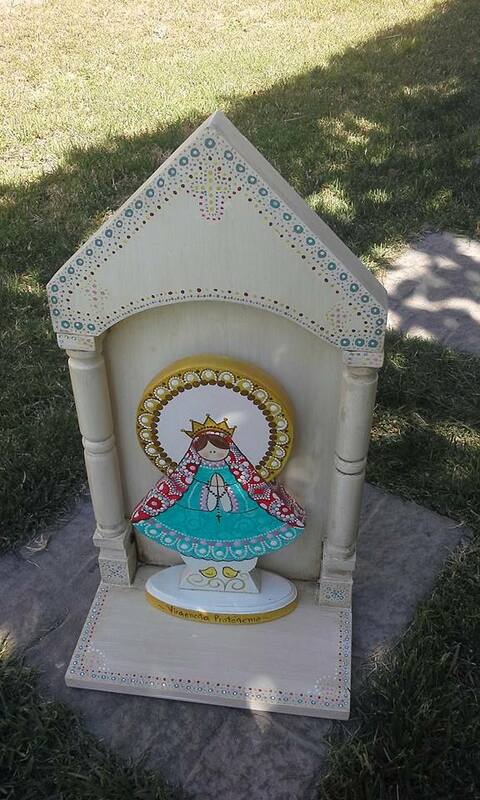 Virgin altar, all in wood, decorated like our client. 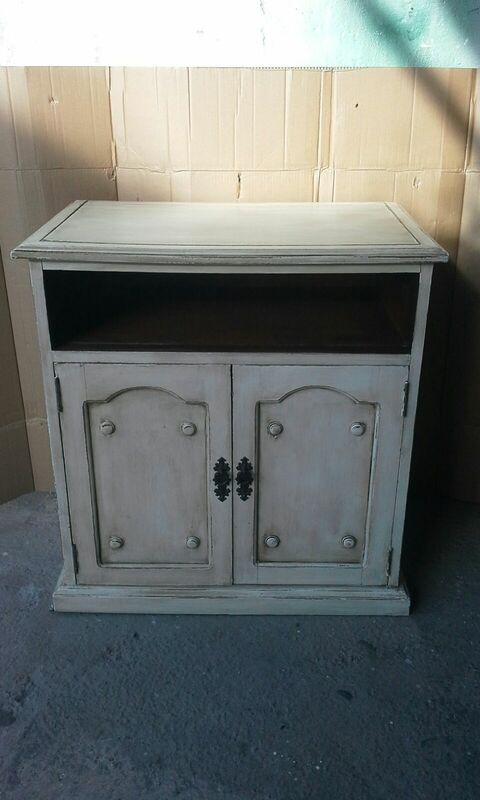 This beautiful piece of furniture at the request of our client was recycled vintage style. 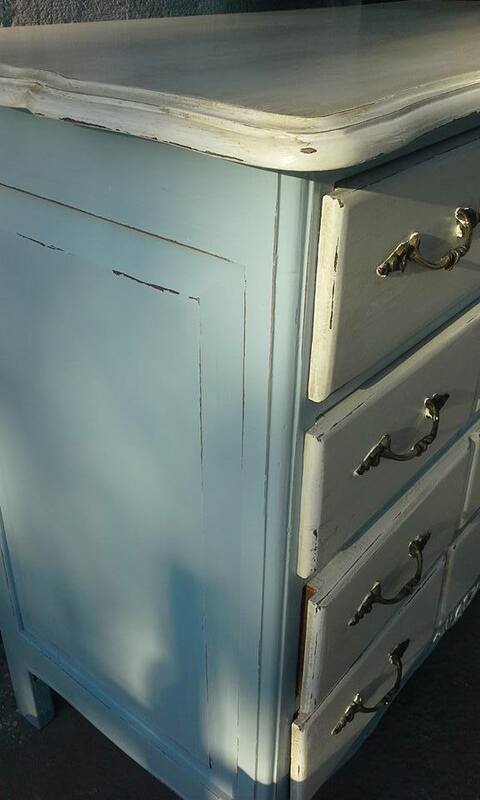 white patina, ocher and blue. Divine effect was achieved by its carvings and moldings….a delight for us. 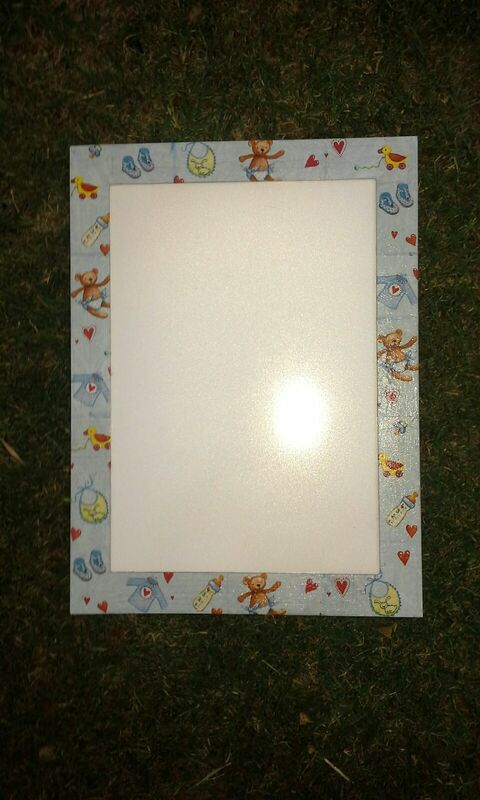 Frames for pictures or photos! 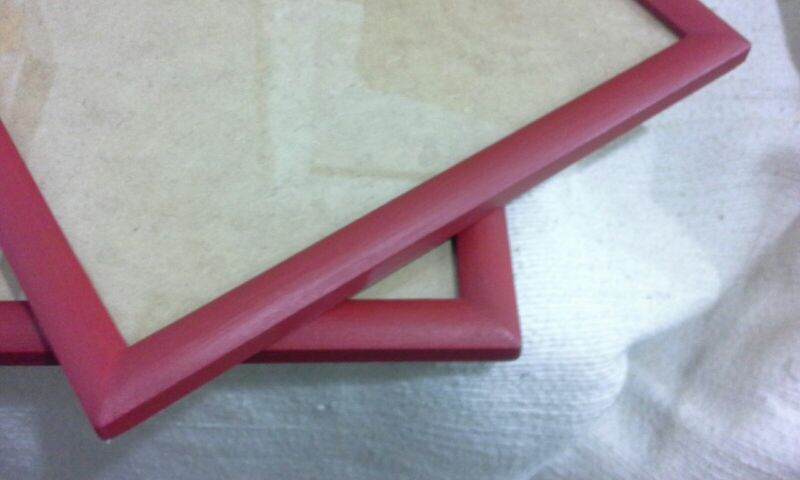 1cm thick single tone painted in red. 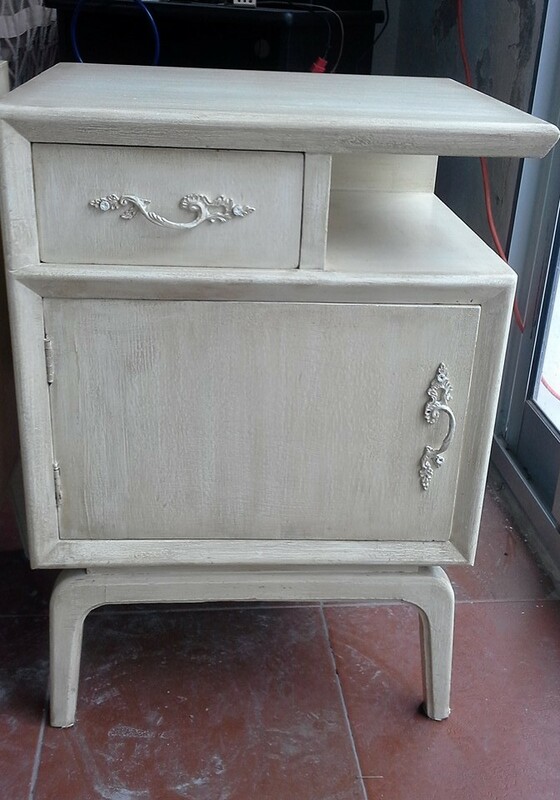 Divine pitch pine wood furniture, I will sack old luster and took to its original color. 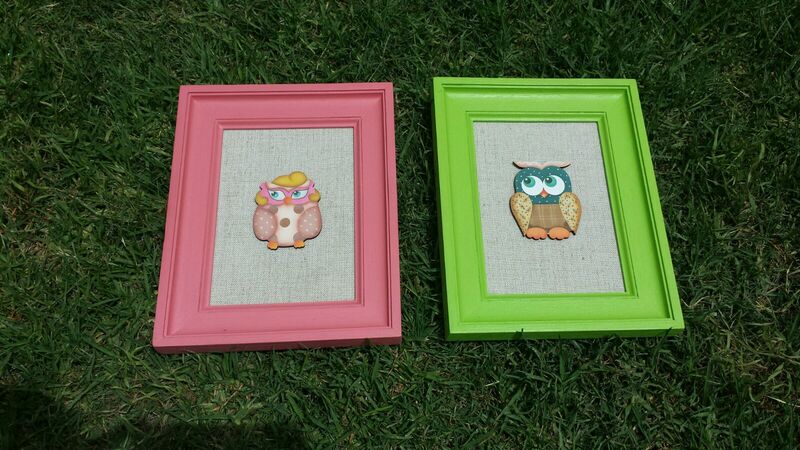 Children frame with decoupage work in the entire framework. 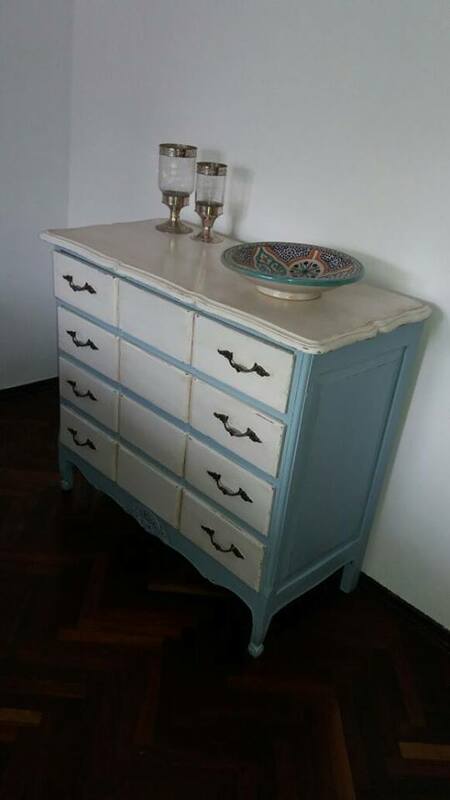 Original and fun for the bedroom of a small. 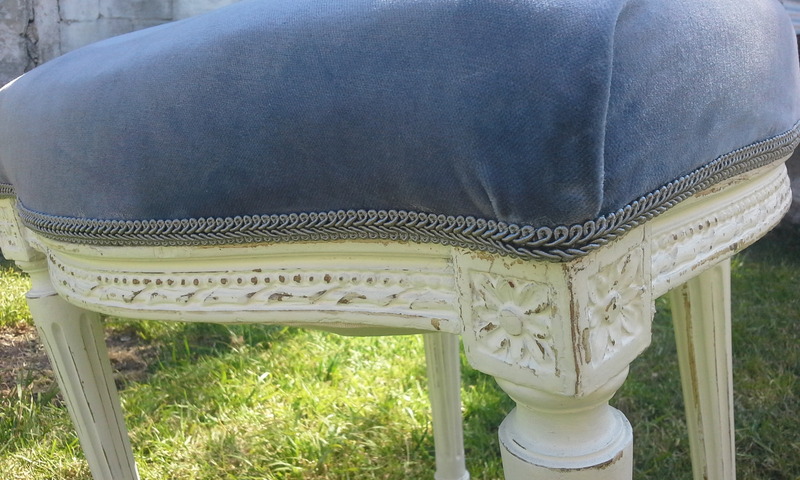 This chair also skated well was upholstered, divine contrast our client chose to recycle your chair. 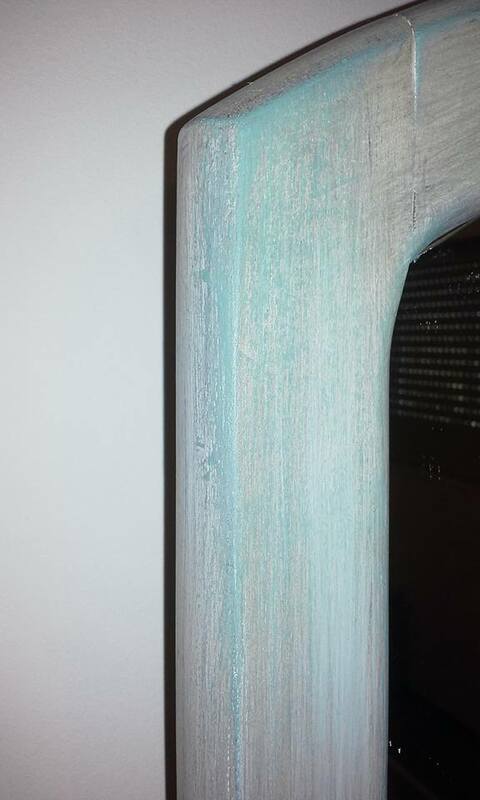 patina of the same white decapé. 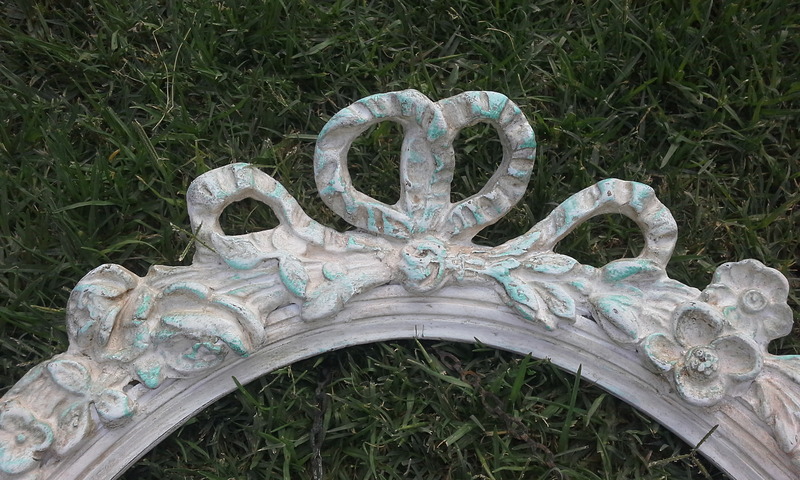 Patina old frame for mirror in shades of green and white frosting. With two frames to perform a fun vintage furniture puertitas, with a patina (disbarkt) green and wood plus put a tissue and some nice shooters. Uniquely to close a cabinet shelf or you can think. 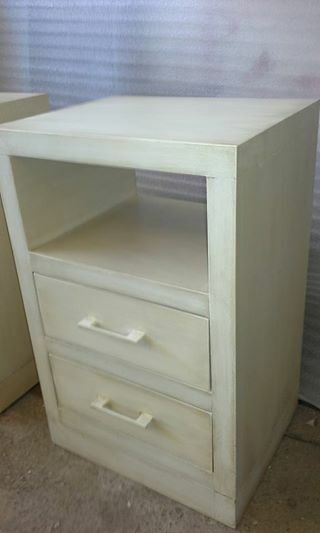 Bedside table painted white in his great whole, with contrast top lustrada. 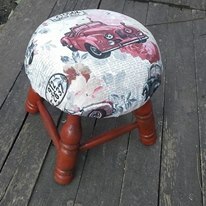 While it is a well-known patina, no longer solve our details and brands often have furniture, well let fashion. This time is the top of a wooden table. 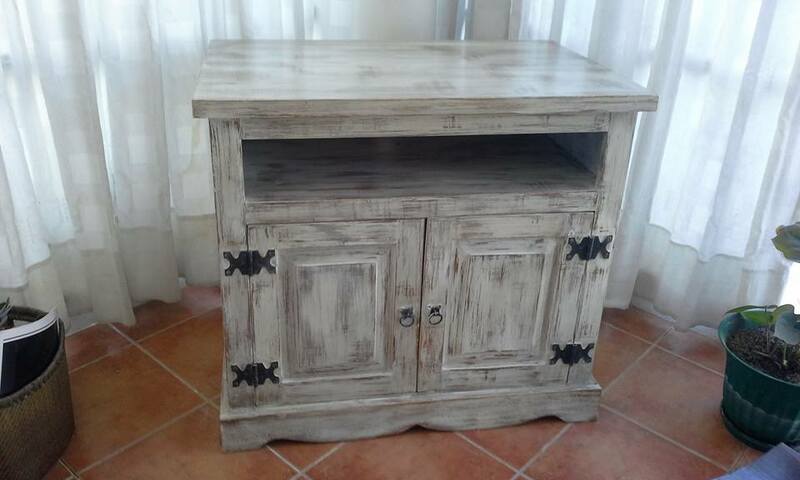 rustic furniture patinated in white (disbarkt) leaving the tone of his divine wood appear. Their imperfections let it have its own style. 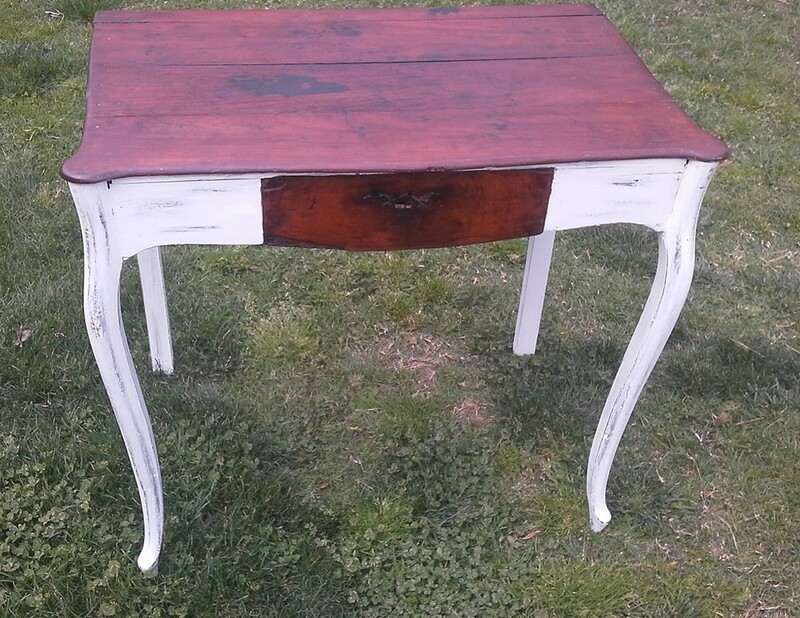 Antique desk table type, He was restored at the request of its owner, who allowed us to do the job that we like in full. With a rustic and modern look together. 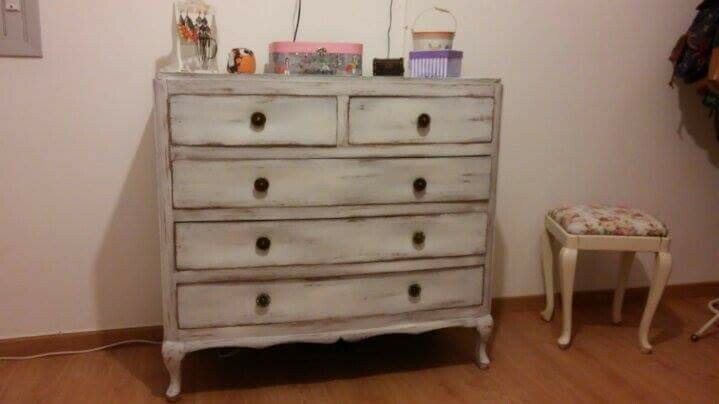 Worn white patina on legs, wooden box and lid. 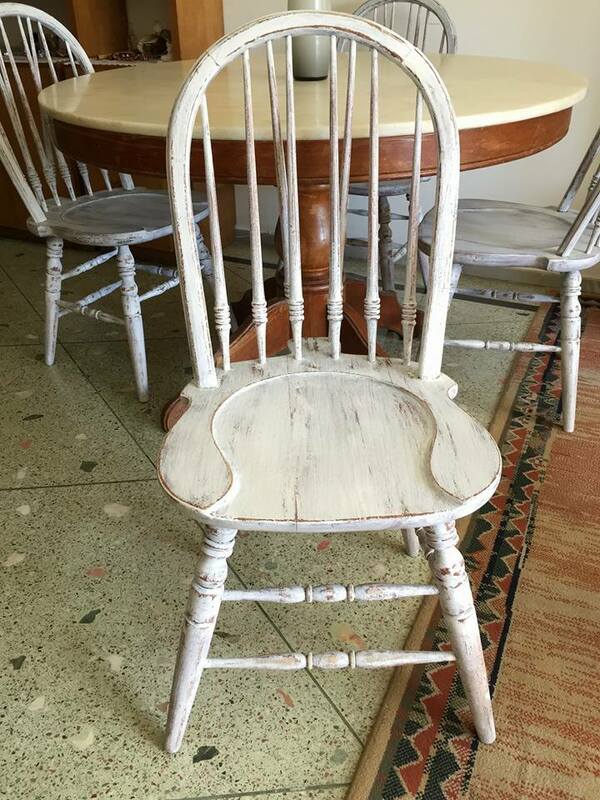 Well worn chair white patina! 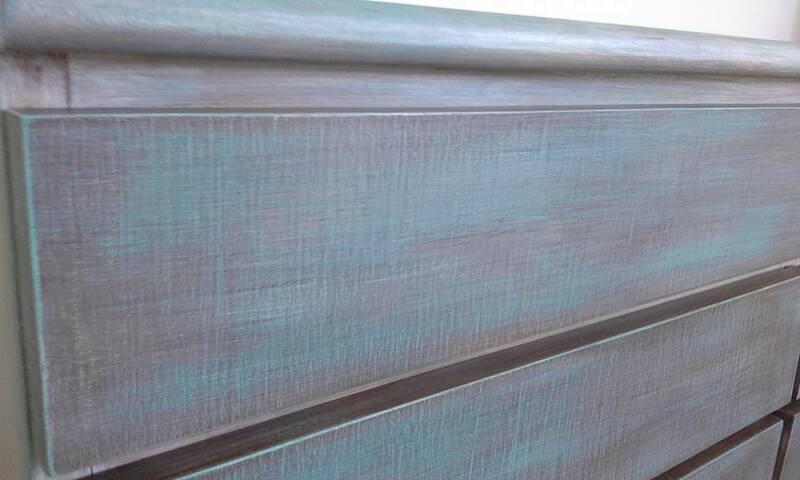 This patina yet timeless and allows us to combine it with the other furniture that are, in other place. 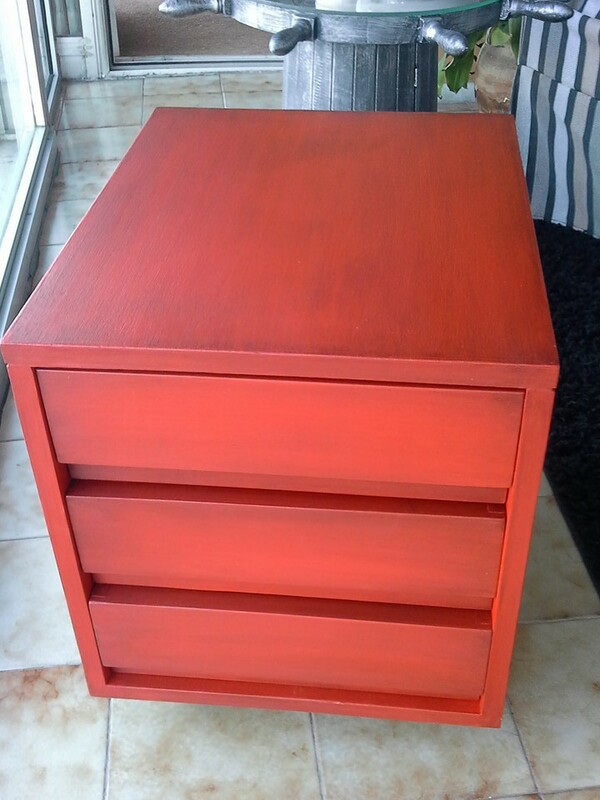 Lightbox style trunk aged patina in red tone. 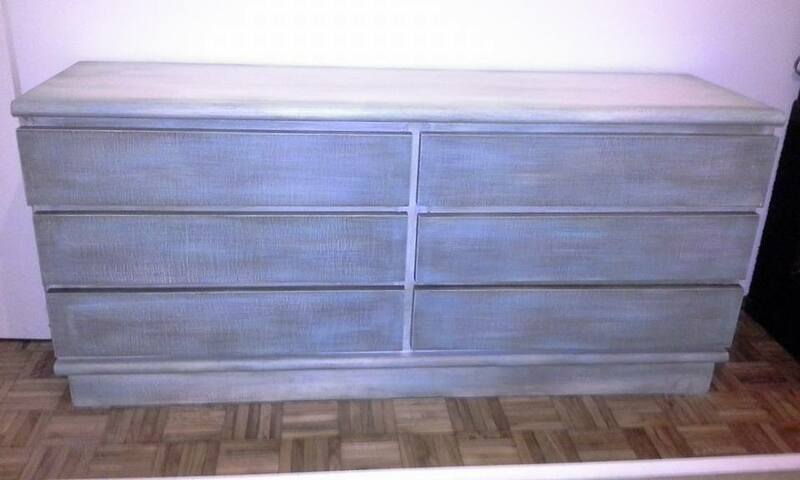 A nice patina bedrooms both games to furniture and chairs, super nice to look at and combinable. 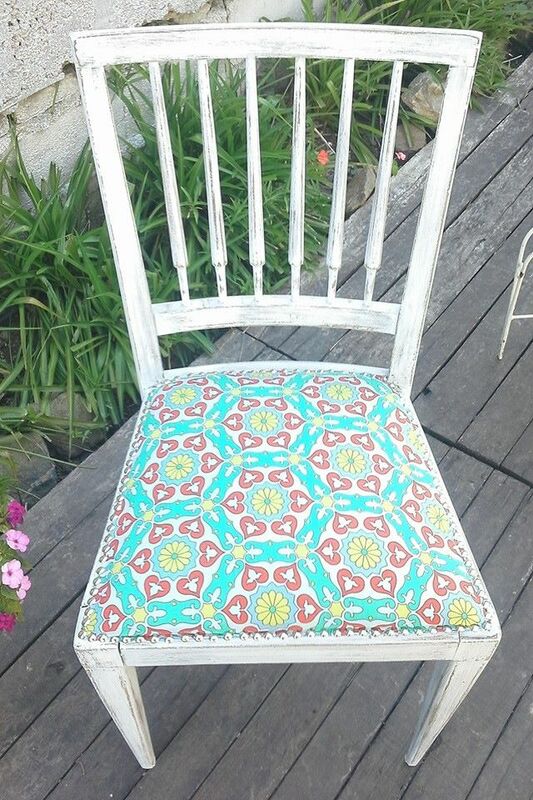 Restored and patinated chair in white tone spent, divinely colorful fabric upholstered, studs for completion. 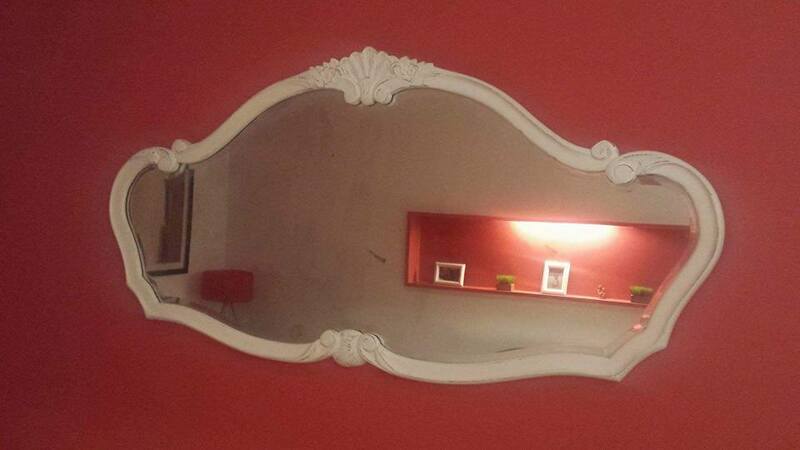 Ideal for any room in the house. 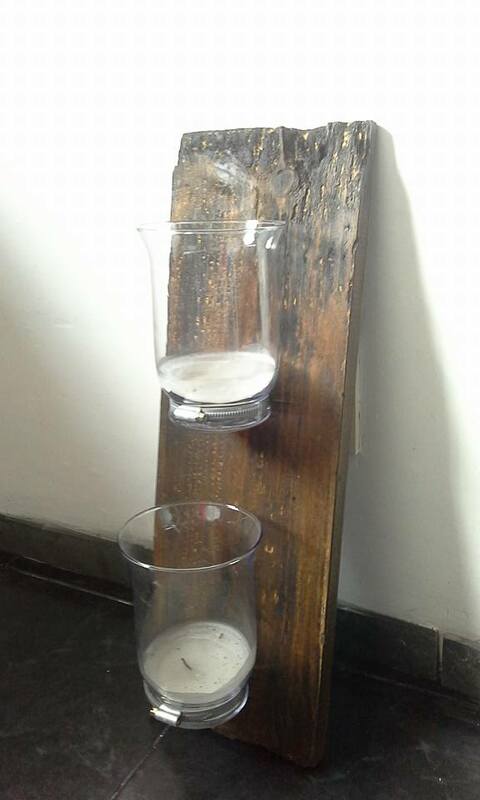 Wood always gives a special warmth, this time we make a candle holder, with glass bottles and rustic wood! Divine to hang on any home space, achieving a twist. 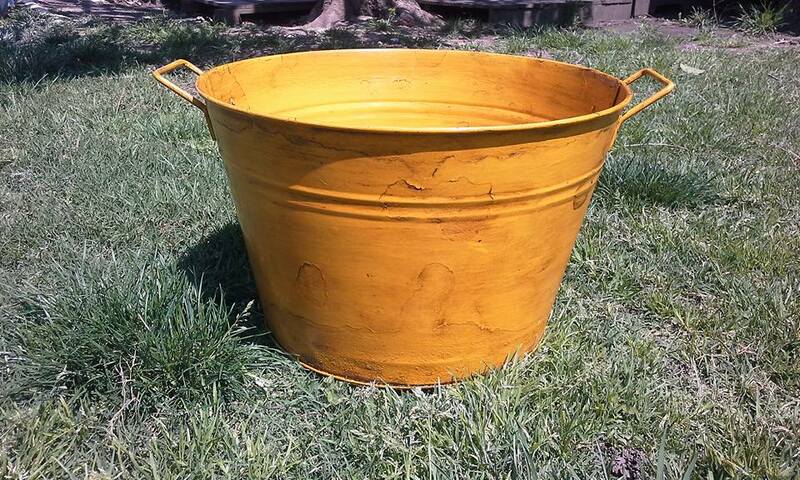 Cans and buckets to renew its appearance this deteriorated…this is a good choice, strong colors and aged!!! At the request of our client we act this, leaving to wave to every corner of the house. 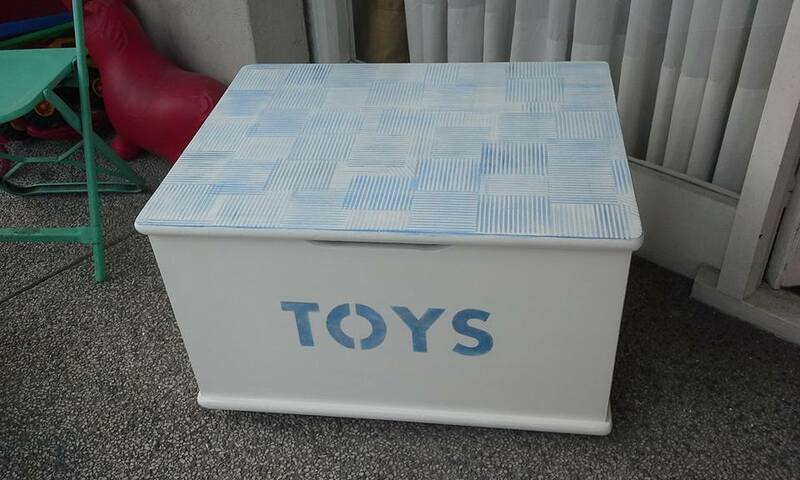 Funny drawer chest for storing toys kids! painted white and stencil detail on top and blue jeans front. 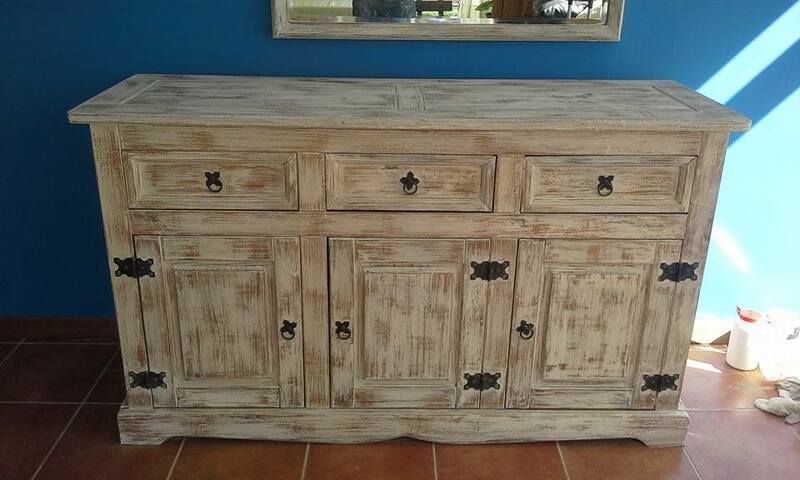 Worn white patina, highlighting the carved wood and some edge. Divine the contrast achieved on a white background as important as this. Comfortable classic French style in white tone, with carved wood and some shooters aged in their original pitch, thus achieving a contrast effect in the same. It was skated in shades of white, Grey, brown and green. 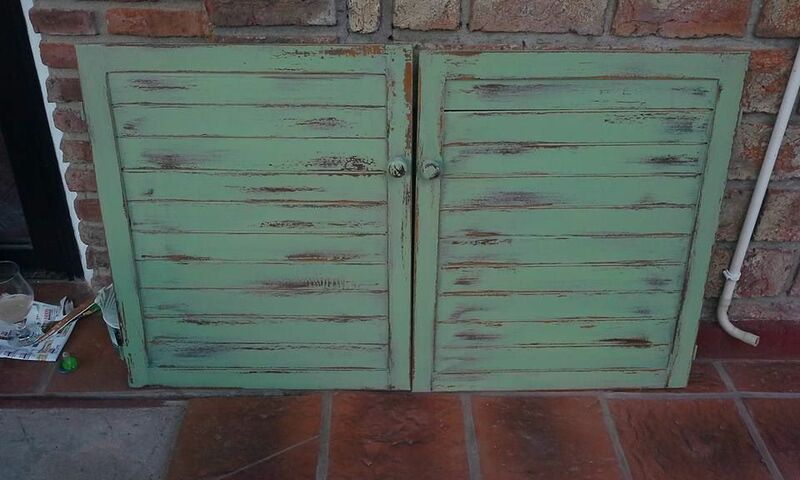 A very original and modern patina, with tones that you choose you prune yours design. 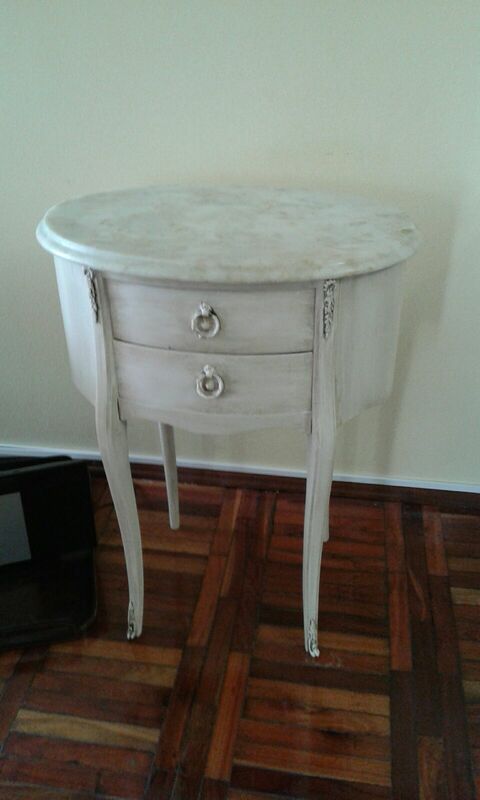 Divine patina on wood furniture, very modern and rustic, This white patina decapé well spent! It makes a beautiful contrast with the blue of the bottom wall. Lightbox, This table was polished in dark shade and cool the atmosphere, in addition to restoring it I took it to a target aged patina. 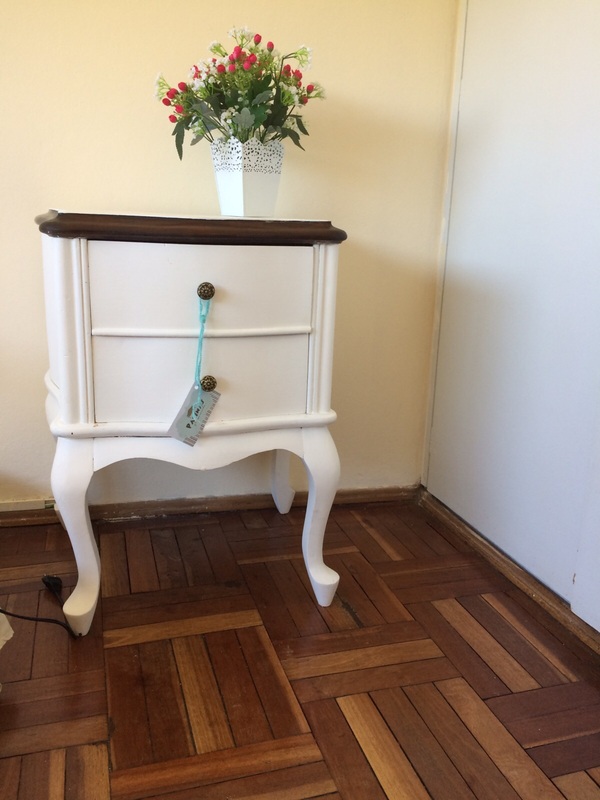 It's a good option to give a change to any furniture, because it is a classic patina and easy to integrate into any environment. 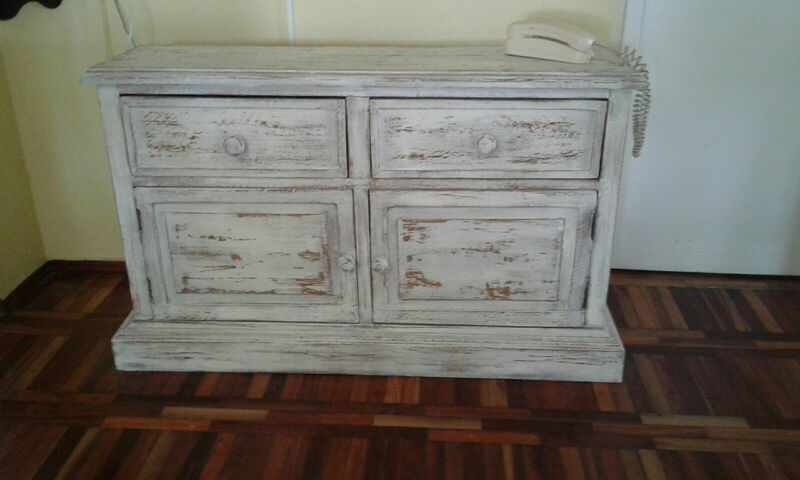 Divine patina disbarkt, in shades of white, verde, gray and brown! 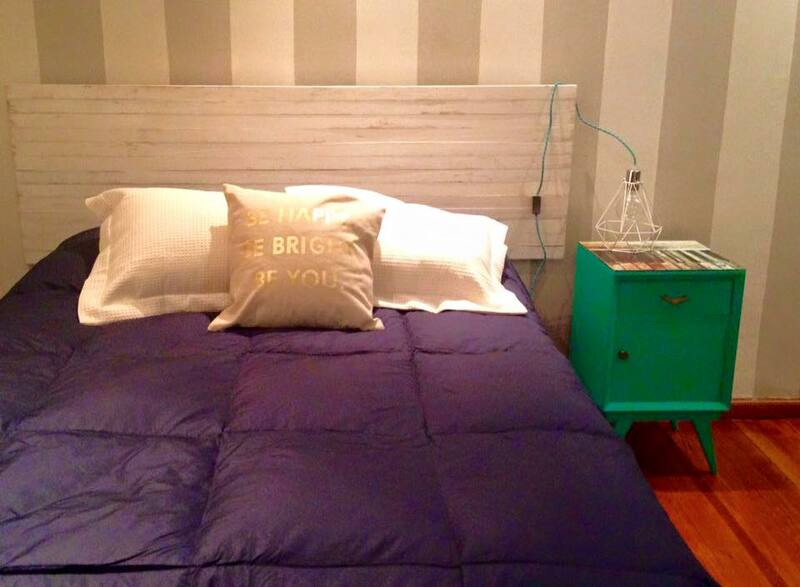 Super cute modern and decorative. Modern comfortable known also be implanted with a fun patina of your choice, this time it was in shades of green patina, white, gray and brown. With an aged finish that integrates all colors, achieving better effect. 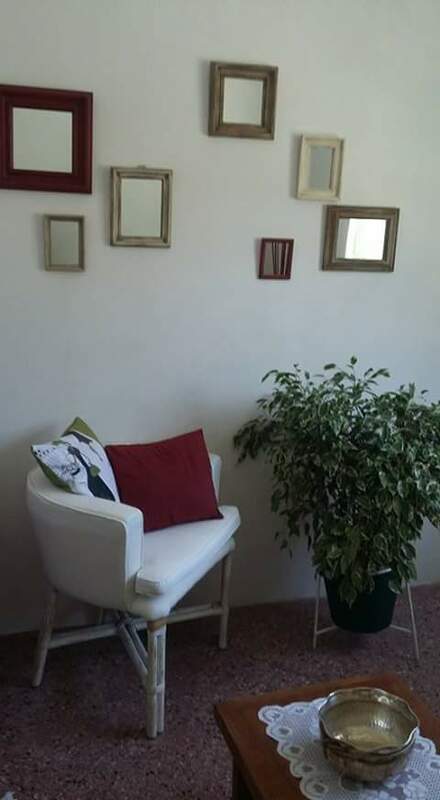 The mirror frame was varnished like the rest of the bedroom in shades of white, Grey, brown and green! 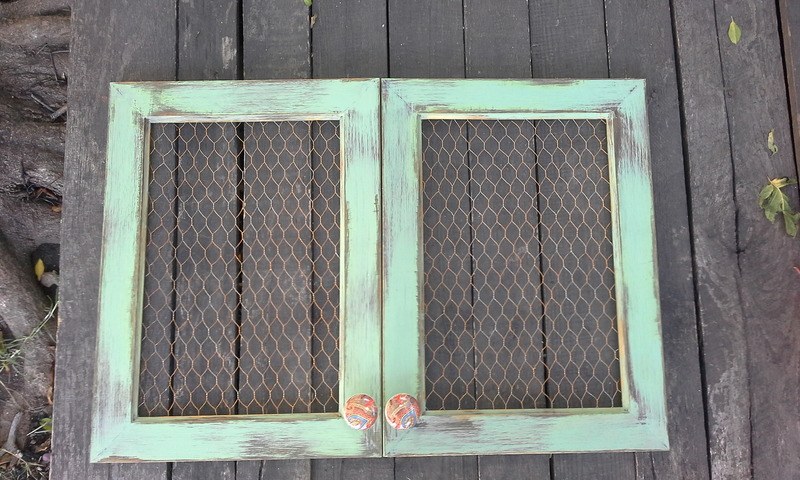 The same patina can be performed on any furniture or object. 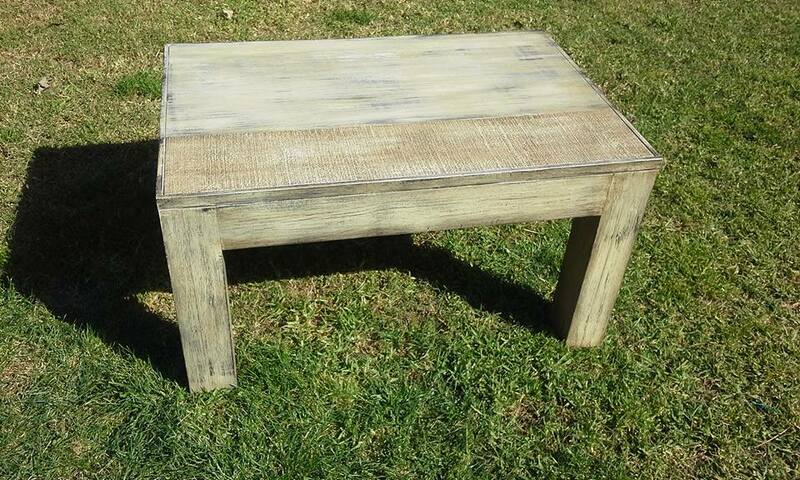 Classic distressed wood table in shades of beige worn; These tables use both in any room of the house shows us another way to recycle and make fashion!!! These divine nest tables, Super useful were patinated in white tone aged and a bit worn. This tone allows us to integrate in any environment. 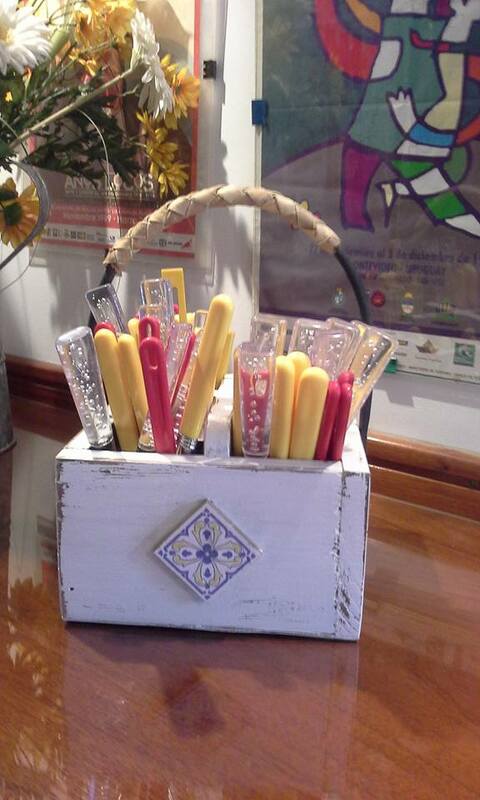 To organize your cutlery drawer with a decorative handle iron, patinated in white and wood decapé. 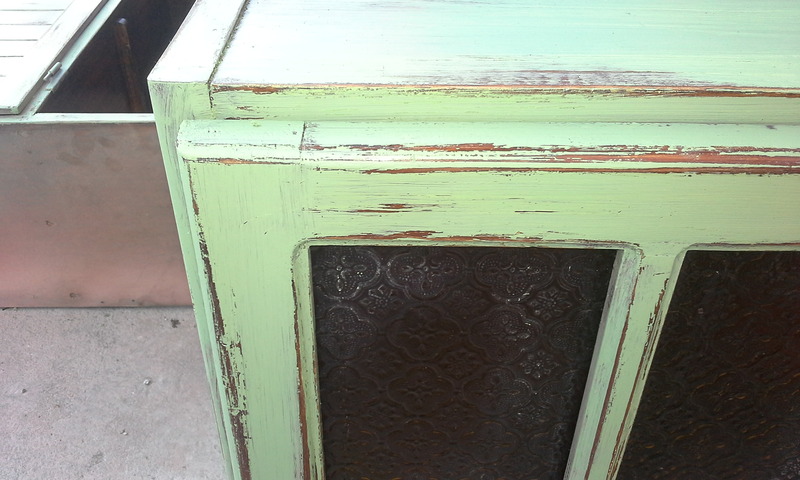 This wooden cabinet was skated with this decapé, giving it a rather rustic and modern effect. 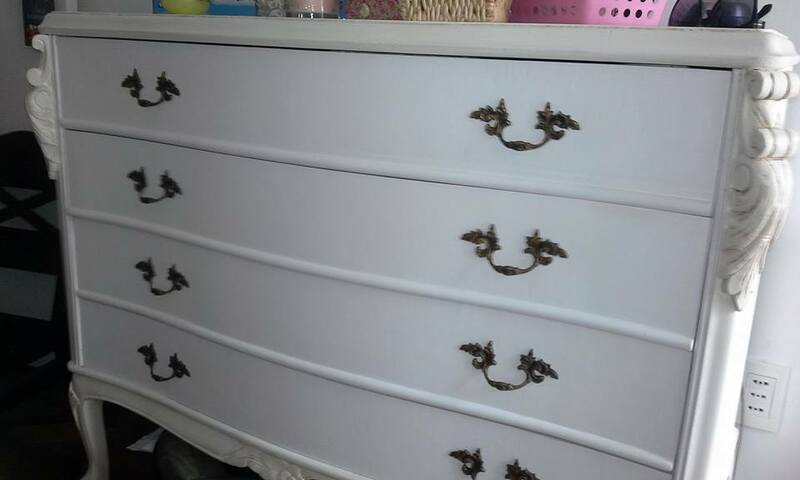 In a tone of barely aged white, it fits the rest of the decor. 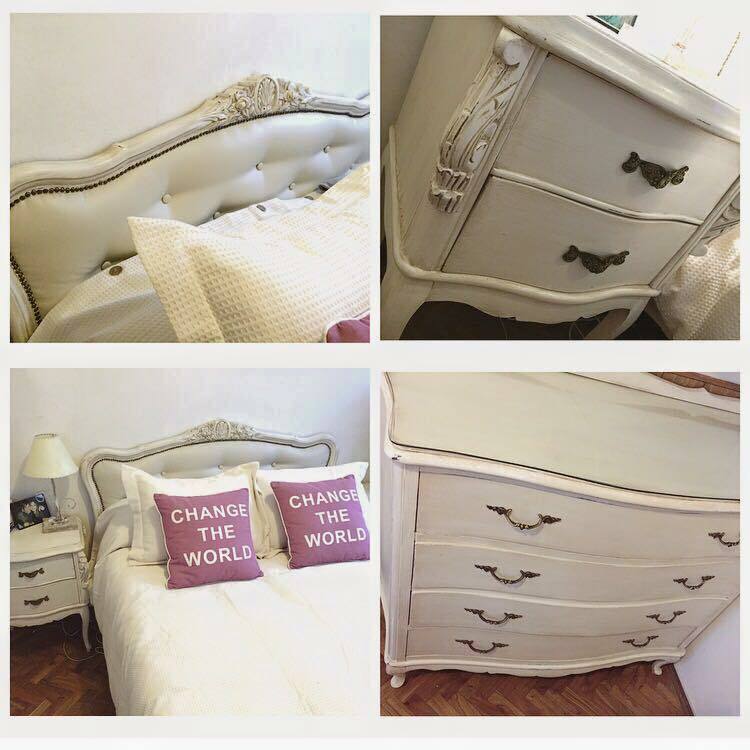 This divine french style comfortable was operated with an aged white patina. Their shooters remained at its original pitch, thus managing to give a beautiful contrast and termination.